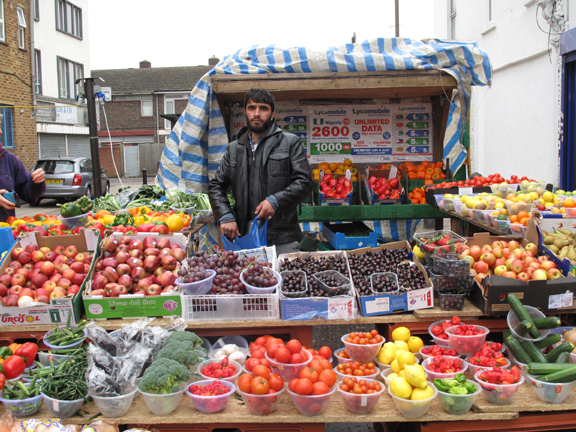 Colourful fruits and vegetables on a stall on Peckham Rye Lane photographed on a cool white day. This entry was posted in Peckham, Photography, Writing and tagged bowls of fruit & veg, Market, Peckham, Rye Lane, street photography. Bookmark the permalink.